Golden Gate Fields concluded its 2018 Fall Meet in strong fashion on Sunday, Dec. 9, as the track posted a robust 19 percent year to year gain in all sources pari-mutuel handle over the course of 30 racing days. The positive increase mirrors results in all sources handle achieved at this year’s Summer and Winter/Spring Meets, and further underscores the positive changes taking place as Golden Gate Fields now looks forward to its 2018-19 Winter/Spring Meet opener on Wednesday, Dec. 26. Increases in out of state wagering and off-track betting helped contribute to a total Fall Meet handle of $99.7 million, well above the $83.6 million wagered in 2017. 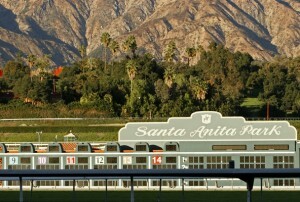 “We had another great meet,” said Golden Gate Fields Vice President and General Manager, David Duggan. 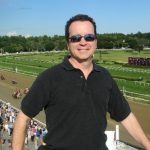 “We, first and foremost, greatly appreciate the support of our loyal fans and horseplayers. Additionally, the horsemen have been working tirelessly as have our front-side staff. Jonathon Wong was the leading trainer for the third meet in a row, making 28 trips to the Winner’s Circle. Hall of Famer Jerry Hollendorfer finished second in the trainer standings with 15 wins. William “Billy” Antongeorgi III topped the jockey standings with 36 victories, one more than Abel Cedillo. The accomplishment marks Antongeorgi’s first-ever riding title at Golden Gate Fields. With the its upcoming Winter/Spring Meet running from Dec. 26 through June 9, Golden Gate Fields has announced an increase in maiden special weight and allowance race purses, while also bumping up bottom level claiming and maiden claiming purses to a minimum of $10,000.